The California lobby couldn't hold out forever and we started getting avocados from Mexico not so long ago. But still Hass and the thin skinned Bacons and Fuerte are about what I get even at the best green grocer's in Berkeley. I enjoy the bounty of Hawaii when I'm there but even the avocado varieties were not as diverse as the posters might make it seem and the farmer's markets had just a handful. Good luck on your figs. If they are too watery- you can still fry them up in butter. In a small town in northern mexico where my dad is from they have a local variety of avocado that has very thin skin and they eat it with the skin on. Just wash and eat. They only sell very small amounts when it is in season. When my dad is down there he brings back bags of them, he has to remove all the pits ( because US says they are contraband ) and wrap each avocado in foil and put them on ice so they will keep for the long drive back. We usually go a few days eating them all day when he gets back in town. They are so rich, sweet, and creamy, and the skin is so thin that you dont even notice it. My favorite is to just slice um up, little salt and throw in a handmade tortilla. The best tacos ever. Maybe I will try to make a smoothie next time I get some. It's lovely to have such seasonal hard to get fruits to look forward to. If there is enough- you can also make avocado ice cream with coconut milk, or even avocado cream pie. Please do send a photo at least. I saw a quite an extensive bonsai garden at the Huntington Gardens in Pasadena and thought of you. They had a pomegranate bonsai-ed(2 feet tall still) which bore four handsome fruit. I wonder if you could bonsai an avocado. Perhaps your dad can smuggle a few pits. 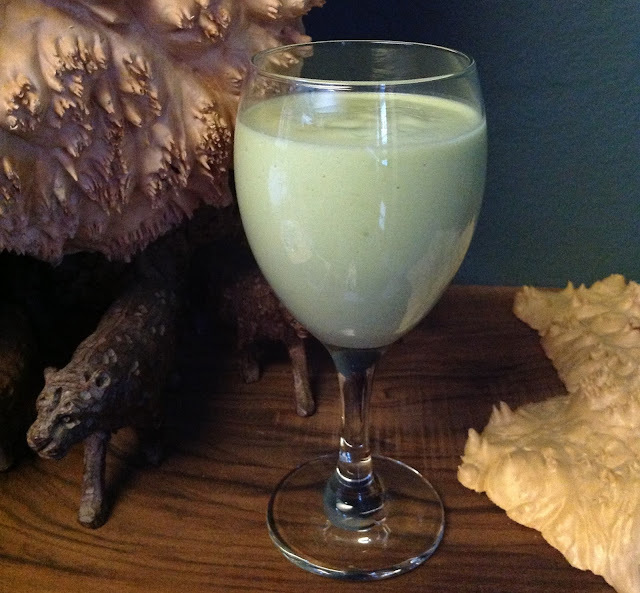 I'm sending healing thoughts for the tea irritation and THANKS to you for this recipe! Thank you for your kind thoughts. I'll try to visualize your healing thoughts next time I brew.